“I am a sixth generation settler from unceded Coast Salish territories.” I have used these words, grammatically arranged to complement the address to follow, innumerable times when introducing myself to a room of relative strangers. Inherently political, they are intended to reveal something about myself, about my ‘politics’, my worldview, my physical and social location, and my implicit (complicit?) role in the ongoing settler colonial project. A few weeks ago, I was asked about this form of introduction by an academic who works on issues of Indigenous governance, primarily through economic means, in the United States. We were at a table of graduate students and postdoctoral fellows who all were attending a summer school dedicated to Indigenous wellbeing. My response to this inquiry was somewhat stunted. I informed the professor who was asking the question, and thus the table of colleagues who were caught in our conversational crossfire, that I use this form of introduction to reveal something about myself. I retold that it situated me in the larger and ongoing settler colonial context of the Canadian state of which I was a part and where, at that moment, we were situated. It was used not only to take ownership of my role in the project of settler colonialism, which contributes to the continued dispossession of Indigenous peoples from their territories, but also to encourage others to reflect upon their own positioning–for others to ask themselves the exact same question that I was answering at that moment. The professor’s follow-up question was “Why sixth generation?” My response: “Because my family settled on Vancouver Island six generations ago. However historically-based, my continued existence, and identity, as a settler has contemporary implications.” The conversation left me dissatisfied with my meek response. Although I had opened my answer regarding the reason for my introduction in the current space as undeniably political, I knew that I could be seen as contradicting myself–not on the political nature of the introduction, but in my reason for choosing such an introduction and including the generational aspect. I had often thought through what my answer would be to such an inquiry, yet I knew very well that no answer would satisfy everyone or be seen as constructive in all spaces. What I was sure of, though, is that I should be questioned about using such an introductory qualifier. It is because of this rightful inquisition that I share my ever-evolving thoughts with you here in the hope that they may generate a broader discussion about settlers in settler colonial contexts. Lorenzo Veracini’s (2010) foundational theoretical work on settler colonialism describes settler colonial societies as ‘palindromes’. Through rhetoric and action, settler societies, and thus settlers, convince themselves that they are naturalized in place. Neglecting to perform this colonial doublespeak would, as Adam Barker aptly suggests, result in settlers being “forever reminded of their status as foreigners and, more accurately, invaders and exploiters” (2012: 330). Introducing oneself as a ‘settler’ within settler colonial contexts, in this case in Canada, is intended to interrupt the unquestioned master narrative of the assertively sovereign Canadian state. It does not out-rightly reject settler colonialism, though. Uttering these words within a public context does not relieve settlers of their complicity in processes of colonialism. It does not remove settlers from occupied Indigenous territories. It does not ultimately ‘decolonize’ Indigenous lands for, after all, decolonization, in its literal sense, would involve the physical removal of settlers (Tuck and Yang 2012). Introducing oneself as a settler is arguably a positioning expression of a counter-narrative: a narrative utilized in lieu, or in spite, of a master narrative, dedicated to addressing imbalances of power and perceived injustices (Bamberg 2004). Identifying oneself as a settler situates the individual within the broader political, social, and embodied context that is the colonial project. Within spaces perceived to be a-political, such as a room housing a number of graduate students at a summer school, it demonstrates that a-political spaces, at least in settler colonial contexts, do not exist. No spaces are void of power in the state container (Taylor 1994). Having the privilege to learn from Indigenous and settler scholars, knowledge holders, and great thinkers and actors alike, I have been told that when in a territory that is not yours–which for settlers in Canada is arguably any space–one recognizes the original peoples. When one is there uninvited by the original peoples–which again for settlers is often any space–I have been taught that this is doubly as important: it’s a practice that has long existed amongst Indigenous communities, but is just now gaining traction in the academy, being referred to as conducting oneself in a ‘good way’. Despite the use of ‘good’ practices, debates surrounding territorial recognition have emerged (Unsettling Settlers 2012). These debates are often embedded within a problematized view of privilege intent on offsetting settler guilt and omitting self-implication in ongoing processes of colonialism (Smith 2013). Challenged as tokenistic lip service used to sidestep settler complacency, rather than recognizing the colonial processes that led to the displacement of Indigenous peoples, providing territorial recognition is admittedly increasingly being used within contested contexts. If territorial recognition is employed by an administrator of a university institution, for instance. out of the necessity to abide by enforced institutional policy, is that conducting oneself in a ‘good’ way? “On the one hand, Settler society required the practical elimination of [Indigenous peoples] in order to establish itself on their territory. On the symbolic level, however, Settler society subsequently sought to recuperate Indigeneity in order to express its difference–and, accordingly, its independence–from the mother country” (2006: 389). I would like to clarify that I am not rallying for the dismissal of territorial address by settler peoples. I am, however, attempting to point to the broader implications that can be carried by a single practice without critical consciousness. Without territorial addresses providing the opportunity for further discussion or opportunity for debate in conventional realms and institutions–many of which themselves are colonial byproducts and perpetuators of colonial mentalities (Deloria 1997; Mihesuah and Wilson 2004)–it risks becoming normalized without critical reflexivity. It thus chances burrowing the settler colonial mentality deeper within cultural hegemony, upholding the fictitious framing of Canada as a peacekeeper state whose fair treatment of Indigenous peoples should be revered (Saul 2008). To repeat the underlying message, this does not mean that territorial addresses should not be deliberately and thoughtfully exchanged. Nor should identifying oneself as a settler be abandoned, as will be made clearer below. It is the discussion surrounding territorial address, the provision of why such an address is given, however, that should be brought to the fore of discussions and not left as a footnote included within the fine-print. Upon first entering the ivory towers of academe, I knew little about universities, their origin, or the nature of their knowledge. What I did know, or perhaps what I came to believe, is that with knowledge comes privilege; with privilege comes responsibility; with responsibility comes risk; but with risk can come change. Somewhere along the progression of this falsely linear path, which in actuality should be a feedback loop, is the danger of thinking that there is finality in knowledge. Informed by this mindset, one heavily influenced by anti-oppressive educators such as Paulo Friere (2006) and bell hooks (1994), I have come to view education–the facilitation of knowledge–as potentially transformative. It is also, however, potentially painful. Working in settler colonial contexts for decolonizing purposes is an incredibly complex and arguably personal endeavour, especially for those who call occupied Indigenous lands home. Not only does the settler’s physical location perpetuate the settler colonial project by, often unquestionably, claiming right to Indigenous territories, their socio-political location privileges the very hegemony that has birthed the settler identity at the expense of Indigenous peoples (Regan 2010). Admittedly, a vast body of literature exists that explores issues such as this politics of identity (see, for example, Hanisch 2006; Lloyd 2005). Although I have used my personal experience as the opening empirical example for this intervention, its overall purpose is not to focus on the individual or to fallaciously conflate this piece with liberal-leaning settler guilt complexes (Smith 2010). On the contrary, the purpose of this intervention is to encourage others, especially those working, living, playing, and occupying in settler colonial contexts, to think through and act upon the implications of using counter-narratives such as ‘sixth-generation settler’ in seemingly a-political (state) spaces. Before I end, I feel it is necessary to provide a brief disclaimer. Although writing this piece has been a long time coming, it has been somewhat difficult to do. Not only is it mildly unnerving to partially reveal the incessant musings that go on within my own psyche, but revealing them without an answer, with no conclusion, is equally unsettling (pun intended). Mustering the nerve to send this reflective piece into a public sphere, albeit a primarily academic one, was catalyzed by the professor that questioned my means of identifying myself–as a sixth-generation settler. This flame was further fanned by the manner in which this means of identification was later called upon with near reverence during the gathering. It was not until hours after the summer school that my partner and I debated the politics of this form of self-recognition, its implications, its dangers, and, more personally, my use of generational specificity. This conversation made me recall another that I had earlier with a colleague in northern British Columbia, which is on primarily unceded Indigenous territories, about the politics of territorial recognition–on which I have shared some of my own thoughts above. Both territorial address and identification of self as a settler run the risk of making people uncomfortable, of unnerving settler privilege, and de-mystifying a-political space–of having an impact. Although conversations surrounding the temporal and spatial contexts and conditions of these effects are complex, the purpose of this intervention has been to open a dialogue in geography, or at least prompt personal reflection, about the politics, consequences, and purposes behind minute, embodied expressions of colonial resistance (ownership?) in public spaces. Whether bringing to the fore settler colonial identities in public addresses for the explicit purpose of reflection and position, writing Indigenous territories alongside colonial place names on letters and in email signatures, or challenging students to identify themselves (to themselves) in a manner void of state, counter-narratives can be planted and questions can be asked. Without a willingness to question one’s position and the socially constructed and enacted power imbalances in which it is located, the cultural hegemony deeply rooted in settler colonial contexts may persist unscathed in mainstream society. After all, without questions there would not be knowledge and without knowledge there would not be change. My introduction to this means of conducting oneself ‘in a good way’ is credited to David Newhouse (2008), though Newhouse is by no means the only or first person who has emphasized the importance of this philosophy when working with Indigenous communities or in colonial contexts. This reflective piece in no way sufficiently presents the nuances and complexities of time and space in relation to settler colonialism. The temporal and spatial implications of territorial addresses and settler self-identifications are issues that I am keen to explore, and I intend to in future work. And I agree but in reality outside universities most settlers don’t even acknowledge they are settlers. 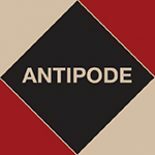 This entry was posted on 2 July 2014 by Antipode Editorial Office in Interventions and tagged Canada, colonial societies, critical pedagogy, exploitation, identity politics, indigeneity, indigenous peoples, migration, politics of recognition, positionality, reflexivity, self-identification, settler colonialism, settler societies, settlers, situated knowledge, territorial address, territory.